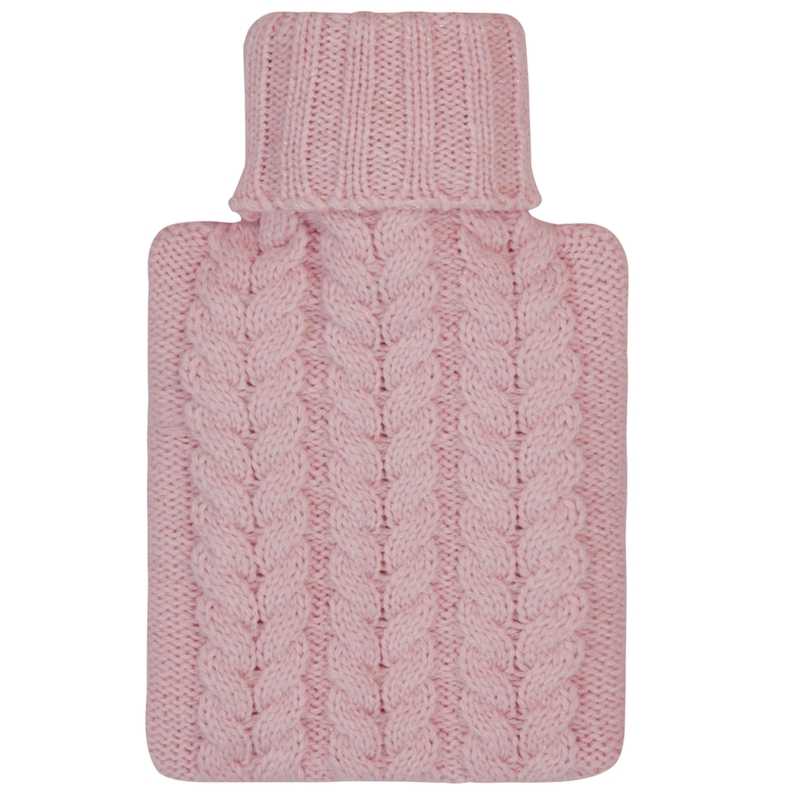 Aroma Home mini knitted hot water bottle and cosy slippers are perfect for keeping you warm. 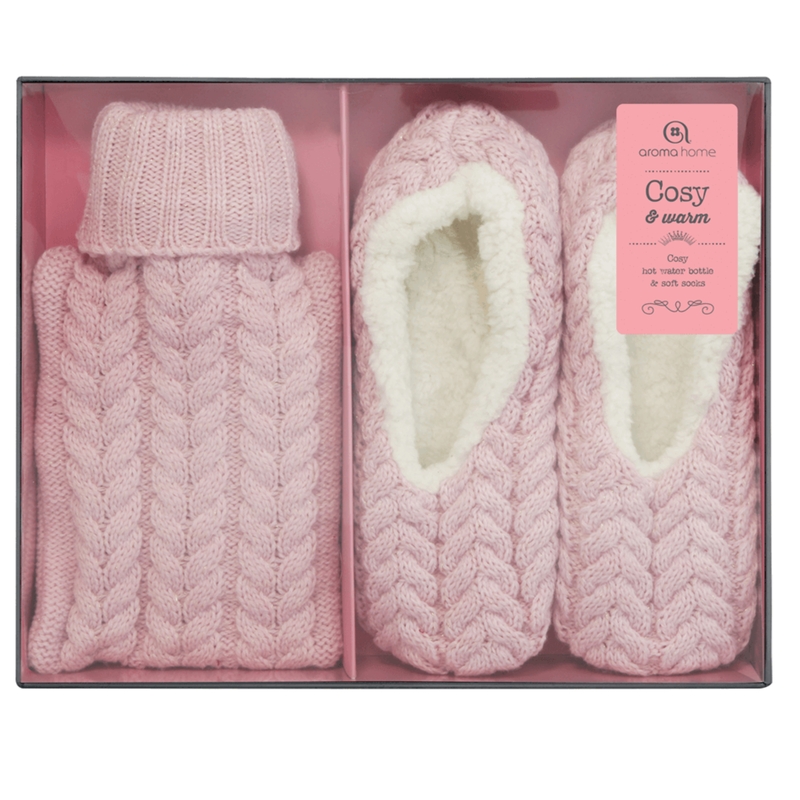 The cable knit hot water bottle and matching fleece lined slippers make an ideal snuggle up on the sofa gift set..> The outer knitted hot water bottle cover is made from 70% Acrylic and 30% lamb's wool. The soft knitted cover helps to retain heat longer and also serves as a protective barrier for your skin during use. The knitted cover is open at the top for easy access when pouring water. The hot water bottle cover can be removed for cleaning and full instructions are included on the packaging and product. 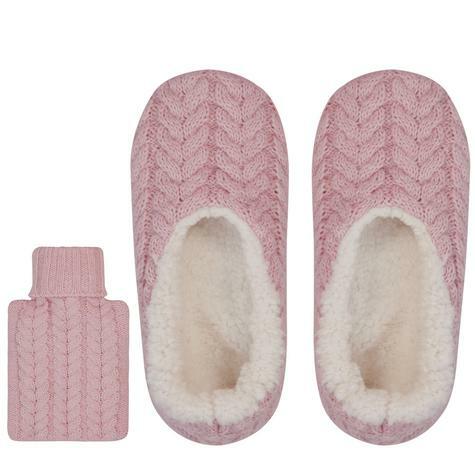 The hot water bottle has a capacity of 500ml and is made of rubber.The cosy slippers are made from 30% lamb's wool, 70% acrylic outer with a super soft 100% polyester fleece lining. 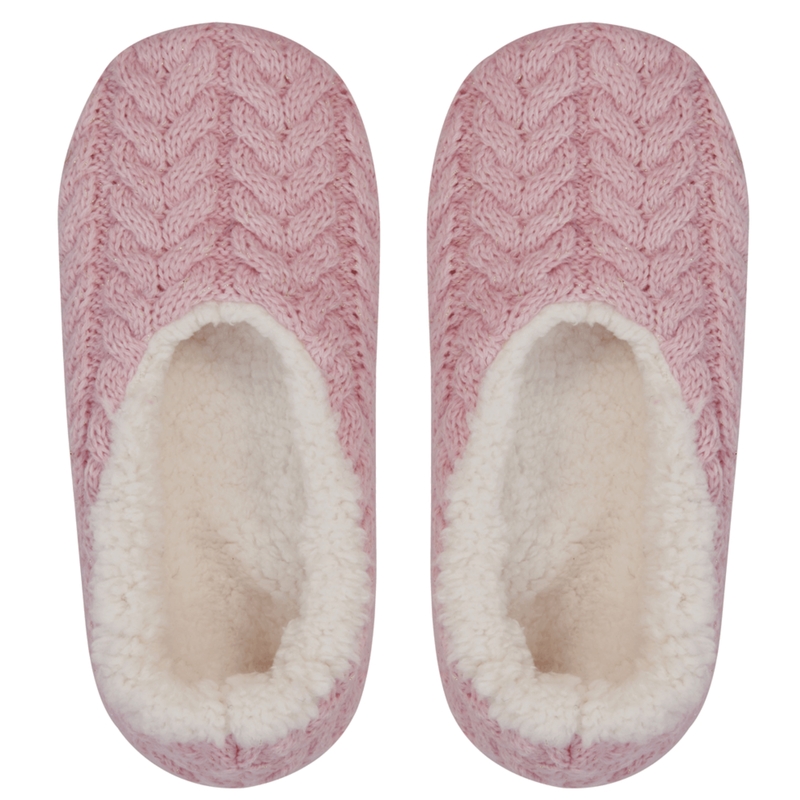 The slippers are designed to fit most feet up to a UK size 7.. This mini hot water bottle and cosy slipper set is neatly packaged in a gift box that measures width 33cm by 27cm high and 5.5cm deep and have been designed in England by Aroma Home. They make a perfect gift for your friends, family or loved ones or why not just treat yourself. Slippers have a fleece lining.